I have read several of Holly Robinson's books over the last few years. I started withThe Wishing Hill (Review Link) the story of three women whose lives are linked in an unusual yet unbreakable way. That was followed by Beach Plum Island (review link ) a story of three sisters whose lives are linked and who are just beginning to understand the meaning of the word "family". Recently I had the privilege of reading a third book by Holly, Haven Lake, published April 2015 by NAL, $15.00 US. I am pleased to say that I think this is Holly's best work yet. Thoughts and Resolutions surrounding Banned Books Week. This week, September 21 - 28, 2014 is Banned Books week and with that there are numerous articles, lists, posts, memes, etc. urging us to celebrate the week. What they really are asking us, as readers, to do, is to become aware and involved in what books are banned and why, and possibly to choose one or more of them and read it this week. As I was scrolling through all of my Facebook and Twitter posts yesterday, I came across the following article on the BookRiot site that got me to thinking. Although the author of the post is speaking to the publishing and marketing community, in effect trying to get them to stop taking advantage of Banned Books Week, the post got me thinking in another direction. First - it got me to thinking about how it sounds to "celebrate" banned books. I will be the first to admit that I have no problem with having one week a year dedicated to highlighting the hows and whys of banned books, but I am starting to wonder if the word celebrate is the correct term to use in this context. 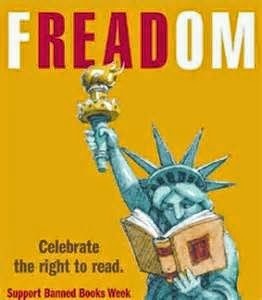 Perhaps we should celebrate our personal freedom by reading a banned book during banned books week. Or rename the week Read a Banned Book week. I know this is really nit-picky and everyone understands that we are celebrating the week, not the banned books, but it just got me to thinking. Why give power to the people who are banning the books by even using the phrase "celebrate banned books". The second stream of thought that the article lead me to was to question why I only seem to pay attention to the banning of books one week a year. Don't get me wrong, as I said above, I am glad that we have a week to focus on the books that are getting banned. If it weren't for the ALA and other organizations and their highlighting of banned books once a year, I may go through my year having this subject never even enter my mind. It is so easy to become wrapped up in my everyday life and reading, and not even think about it. So, I am eternally grateful to the entities behind the Banned Books Week for bringing the issue to our collective conscience in general, and my personal radar in particular. To an avid reader like me, though, banning books for whatever reason is anathema and and issue that I really should be more involved in. For that reason, I have decided to do challenge myself to do something every week between now and Banned Books Week 2015 that promotes reading freedom. Although part of it will be reading some of the most commonly banned books, there will be other activities, posts, etc. in addition. although I am not yet sure what form they may take. One thing I hope to do is to read at least 12 books that have been banned to large audiences in the next year. I would say I would read one a month, but the way my life goes, I am not sure I can stick to that. There may be times when I can read two or more in a given month, and times when I won't get to any, so 12 in a year it is! So - I will count this post as my first action toward my new resolution. If you, like me, are interested in knowing the wheres, whys, and hows of banned books, here are some websites that I have found particularly interesting regarding the subject. I hope you enjoy my break from the usual in this post and find some of this informational and interesting. I will be back to reviewing tomorrow. And as always - Happy Reading! 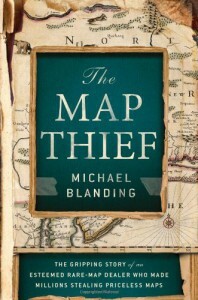 In his introduction to the book The Map Thief author Michael Blanding writes, "Maps have long exerted a special fascination on viewers-both as beautiful works of art and as practical tools to navigate the world." What he forgets to mention is that they can also be snapshots in history. For me, they are all of the above, so a book centered around historical maps seemed a natural. Add to that my fascination with true crime accounts, and it is no wonder that I jumped at the chance to read and review this book. The Map Thief is Blandings account of the E. Forbes Smiley case, Smiley was a respected dealer in antiquarian maps who ended up in over his head and began stealing rare and famous maps from Universities and selling them on the market as new finds until he was caught red-handed cutting a map from a book in the Yale University antique map room. I found the idea that a trusted, well respected member of the exclusive trade in antiquarian maps could take so much advantage of the other players in the industry fascinating. After all, for years E. Forbes Smiley was able to pull the wool over the eyes of top-notch dealers in antique maps and savvy collectors, not to mention the major Universities and Museums that he was able to steal from. I really enjoyed reading about Smiley and his crimes. For me, though, the best part of the book was the amount of time that Blanding spent explaining the maps that were stolen and their significance. As you might expect from an investigative journalist of his caliber, the discussion of each map was well researched and well written. His ability to highlight the importance of these maps as both historical documents and works of art really drew me in. I learned so much about maps, their uses, the history of map making, and the historical figures behind the maps. I would have loved for this part of the book to never end. Blanding did such a great job with this part of the book that I found myself researching antique maps and the history of map making on my own. The only place were the book fell short for me was at the end. Throughout the book, there was a lot of discussion of the fact that hundreds more maps were missing that Smiley ever admitted to stealing. I felt it was presented in such a way that a revelation would be forthcoming, but perhaps it was just my reader's wish that there would be a big reveal. At any rate, not only was there no real new information about these missing maps, I felt that Blanding really glassed over this portion of the story. It was almost like he just threw the information into the book at the end and as a result, I thought it detracted from the rest of the book, which was really great. In addition, I found the information that was presented confusing. For me, it would have been better if Blanding had mentioned that many more maps were missing, and the theories by all parties about what might have happened to them, in a short concluding chapter. All in all, though, this book was really worth the read. The information regarding maps, map making, and map collecting was enough to keep me interested to the very end. Throw in E. Forbes Smiley, his personality, and what he was able to accomplish, and you have a very engaging read. I would highly recommend it to any one with a love of history and a love of true crime stories. Bravo Mr. Blanding! 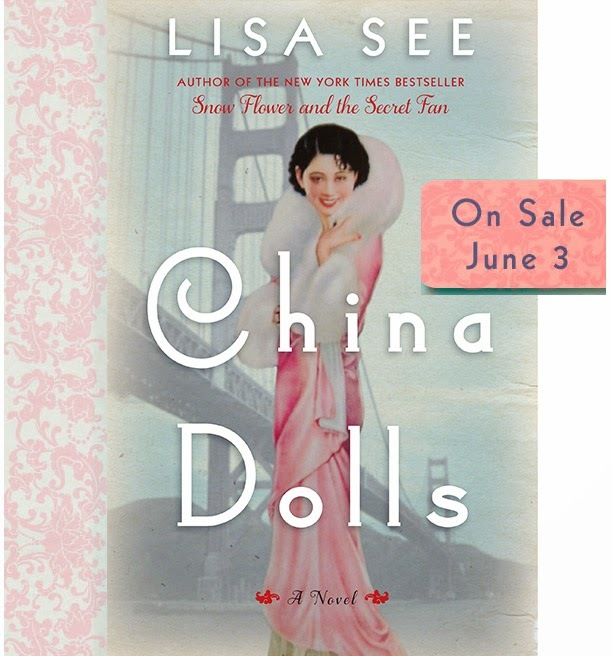 Like many readers, my introduction to author Lisa See's work was withSnow Flower and the Secret Fan,and like most readers, I instantly fell in love. 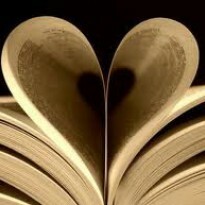 The book was beautifully written, the story was wonderful. Since reading Snow Flower, I have read most of the rest of Lisa See's work, and own copies of them all. To say that I am a fan of her work just doesn't quite say it all. 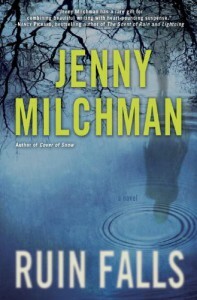 I enjoyed Jenny Milchman's first novel, Cover of Snow, so much that it was hard to imagine how she could do any better on her second outing. With Ruin Falls, I certainly got the answer, and it was "very well, thank you". In fact, I thoughtRuin Falls was even better than Cover of Snow. I have to say, I really love it when I find a new author and their books get better and better, so I hope this is a trend that will continue. 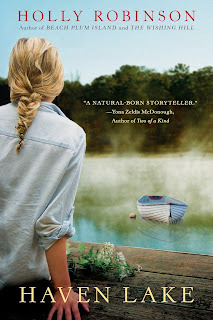 Ruin Falls is the story of Liz Daniels, who leaves her secluded home in the Adirondack Mountains to go on a family vacation for the first time in years. When her husband, Paul, changes their plans and decides to stop at a hotel for the night, everything seems fine. It is when Liz wakes in the morning to find her children are missing that we get a glimpse of the way Liz's life is headed. Then when she finds out that the person who took them is someone that she thought she could trust, we really understand how badly her life is going to fall apart. Undeterred, Liz hits the road on a journey that will hopefully allow her to find her children and bring them home safely. As a story, Ruin Falls is all about layers. Layers that at times make the story seem ambiguous, but in a good way. Early in the first few chapters their are two events that clue the reader in on the fact that all is not what it seems for the Daniels family. The first is the sheer panic that comes over Liz when the family stops for snacks at a fast food restaurant and six-year-old Reid wanders away. As Liz and Paul search the place for him, I got the feeling that her panic was more than the norm for a mother with a missing child. Then as they get back on the road, they are accosted by a crazy pick up truck driver who seems to be having a road rage event. I loved the sense of innuendo in these and other scenes that appeared throughout the book. It really set the tone for me and got me thinking about just where the story was going and what was really going on, a feeling that stayed with me until the end. In this same vein, I really enjoyed the interspersed chapters that introduced other characters that appeared to have no connection to the Daniels family. 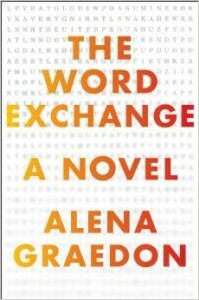 Rather than confuse or distract me, I found myself wondering what the connection was (I was sure there was one), which in turn kept me anxiously turning the pages. As the story progressed, and the layers were peeled away, I enjoyed watching it all come together. As a mom of two boys, I found myself really identifying with Liz. Although I hope it never will, if something like this ever happened to me, I would hope that I would be just as focused and driven to find answers as she is. Liz is by far the character that the book focuses on the most, and therefore she is the one that I felt I learned the most about. Most of the other characters were definitely secondary, and while I would like to ave learned a bit more of some of their stories, I don't think more detail on them would have improved the story at all. In fact, with all the layers of the story, keeping the character development rather simple really worked for me as it allowed me to stay focused on why the children were taken and how Liz was going to get them back. I give this book 5 out of 5 stars, mostly because it was a delight to read and kept me engaged from beginning to end. I will be the first one to complain when authors muddy a story with too many devices, but for me, the layers of this story and the outlying characters only enhanced my enjoyment. I highly recommend this book to everyone who likes a story that keeps you guessing where it is ultimately going to end up. One of the things I like about reviewing books is finding new authors that are up to the "repeat performance" test. Nothing is more disappointing than reading a book that you thought was great, and then the next book is a let down. On the flip side, nothing is more enjoyable than having that second book live up to, and sometimes even surpass the first one. Such is the case withBeach Plum Island the new book by author Holly Robinson. For those of you who read my recent review of her first book, The Wishing Hill, you will know how excited I was to find an author in the women's fiction category that writes with compelling story lines and wonderful, complex female characters. 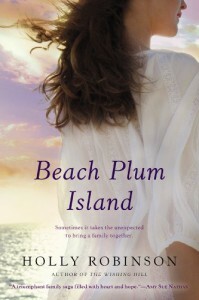 Like Holly Robinson's first book, Beach Plum Island is mostly a story about family, in this case siblings. 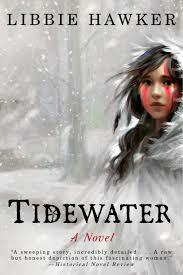 Ava Barret is the oldest of the sisters, a potter by trade, and the divorced mother of two teenage boys. All her life she has been the one to "take care of things". When her father passes away from cancer, he tells he to "tell her brother the truth." The only problem is, as far as Ava knows, she only has two sisters, Elaine, the sister she grew up with, and Gigi, her half-sister from her father's second marriage. Beach Plum Island is one is part mystery and one part family drama, with romance thrown in for good measure. I like the way the clues for the mystery part of the story are revealed slowly, as the story progresses, allowing the mystery to be engaging without taking over the entire plot. Unfortunately, although I enjoyed the mystery surrounding the brother, and the ensuing search for him, this part of the story had it's flaws for me. In the beginning, it seemed like it was going to be just as complex as the rest of the story, but the conclusion of this story line seemed a bit to easy and didn't quite ring true. To say anymore would be to include spoilers, but I would have liked this part of the story to be a bit more real. It is the family drama part that Iiked the most, and where I think Holly's writing really shines. The relationships between the characters are both complex and flawed, as are the characters themselves. I love that all of the characters, from the major protagonists all the way down to the character with the smallest part in the story, have demons in their lives that they are dealing with. Not a single one of them is totally positive or negative. At times I loved them and applauded their actions, at other times I wanted to yell at them and tell them to grow up, or think things through before acting. Exactly the way I am with my real life siblings, which makes the story all the more enjoyable to read. 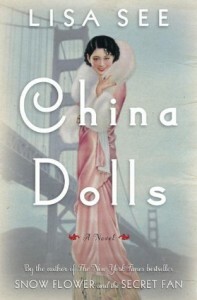 As I read the book, I found myself turning pages, not wanting to stop reading until I found out how Ava was going to pull the family together, or how Gigi was going to fit into the family without her father around as a buffer, or even whether Elaine was going to decide that a one night stand didn't equal a relationship. This feeling lasted all of the way to the end of the book and beyond. Although the end of the book was perfectly satisfying, I still found myself wondering what was next for the members of the family. This type of feeling is what I have come to expect from Holly's writing and I am looking forward to her next project. It is also what makes me recommend this book to all my reading friends. The publisher will be giving away three copies of True Love. If you would like to win a copy of this excellent romantic story, please leave a comment to that effect below. Good luck and happy reading! 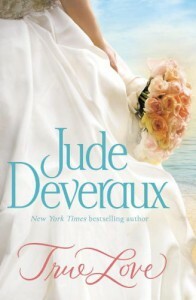 True Love is the first book in Jude Deveraux'sNantucket Bride trilogy, and if it is any indication of what is to come, I know I will be reading the other two books in the trilogy. In fact, as I read this book, I thought it would be perfect for a series or trilogy, and I have already picked out which couples I hope the other books are about. Truthfully, I think that there is enough here to support more than just a trilogy. The book takes place on Nantucket Island, which is interesting enough in itself. I loved the way the Jude Deveraux described the history, geography, sights, and people of Nantucket Island. I hope to visit there one day, and her descriptions only fueled that fire. In addition, a place with all the tradition and history of Nantucket is certainly a good backdrop for a romance story. 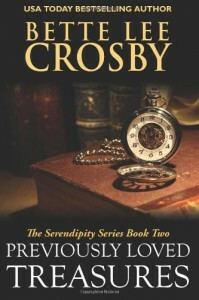 Add to this a love story which includes not only the two characters who are falling in love, but a 200-year-old mystery complete with a ghost who has been around since the mystery started, all of which is blended together to make a truly interesting read. 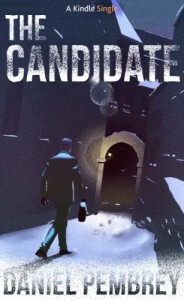 The characters in this book were easy to become involved with. I could truly feel the love and attraction between the main characters, Alix and Jared, and loved the instant connection they developed. A number of the supporting characters also caught my interest. I think my favorite by far was Alix's mother, Victoria. 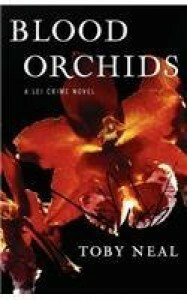 Being a famous author allowed her to get away with quite a bit, but I loved the way that Jude Deveraux let you see inside the character. The fact that she was willing to look and act like a diva to actually benefit others was an interesting insight. As I said above, there were several of the supporting characters that I would love to read more about. And not just about their romantic lives, but about what makes them who they are. I hope that Victoria, Caleb, Ken, Jilly, Roger, Lexie, Toby and others show up in future books. As I said, it seems to me that there is more here than just what will fit in a trilogy, and I could happily read about the Kingsleys and Montgomerys for a while. 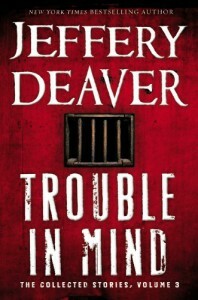 The bottom line is that this book is a win for me, and that I am looking forward to reading the rest of the trilogy, or as far as Jude Deveraux goes with these characters. While I am no stranger to Jude Deveraux's books, it has been quite a few years since I have read one, but this book reminded me of why I used to enjoy them so much. A copy of this book was provided by the publisher through Edelwiess in exchange for my review. 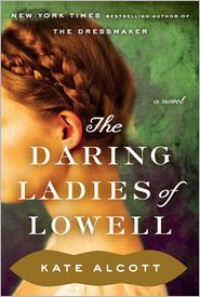 Kate Alcott's second historical novel, The Daring Ladies of Lowell is set in the town of Lowell, Massachusetts during the 1830s. Lowell is one of the East Coast towns that were famous for the cloth mills that populated the area and were infamous for their "sweatshop" conditions. Alice Barrow is a farm girl who travels to Lowell to begin work in the mill. Once she has found a dormitory with an extra space, she settles in and begins her career as one of the "mill girls". There were several things that I enjoyed about this book. First of all, I enjoyed the mix of characters included in the cast of mill girls. Kate Alcott did a good job of including characters whose personalities were as varied as the girls themselves were. Among Alice's friends and dormitory sisters we find the religious, the studious, the goody two shoes, the adventurous, and those that just wanted to have a little fun. Another way that Kate Alcott's portrayal of the mill girls was spot on was in the way that she portrayed the juxtapositions of their lives. Although the living and working conditions are harsh, they are much better than those that most of these girls came from, mostly because for the first time in their lives, they are able to make decisions for themselves, at least on some level. I thought that the way the allure of their lives was contrasted with it's bleak realities was quite well done. Another aspect of this book that worked for me was in the portrayal of the mill owner, Hiram Fiske. Like so many of the men in his position, Hiram was a mix of characteristics. Although he was getting rich off of the backs of the mill girls, at times he was honestly able to convince himself that he was making their lives better. And just when he was about to convince you that he could do the right thing, his greed would rear its ugly head and he would become a man whose only purpose in life was to make his business more profitable than his competitors, no matter who was hurt in the process. Another great plus to this book was the fact that the murder and subsequent trial that were interwoven through the story were based on an actual event. I always love when a historical book uses actual events to tell a fictional story. It not only shows that the author did some research on the subject, but for me it makes the story have more impact. In the case of this story, also, the murder and trial were the perfect devices to illustrate the realities of the lives of the characters. Not only were we able to see how the mill girls would eventually band together for their joint benefit, but using the trial to showcase the thinking of the mill owners at that time was wonderful. What didn't work for me, though, was the romance side of the story. I will be the first to admit that I don't mind a little romance with my history, but in this case, the romance presented just did not ring true. A romance between the mill owner's son and one of the mill girls was just too fanciful for me and took away from the realistic feeling of the rest of the book. I would have found it much less distracting if the romance would have developed between Alice and the town doctor, or someone who lived in Lowell, but wasn't a mill worker. In fact, I would much rather have had more of the story about the mill girls, their lives, and their working conditions. Alternately, I would have been happier if more of the story would have been centered on the mill owners and their justifications for their behavior, or about the murder and trial. Having read a few other books that were similar in character to this, I found the underlying story was good, but could have gone farther. However, I would still recommend this book for those who are interested in reading about the women and girls who worked in the mills, especially if you like a bit of romance with your history.